WHERE: At the Theo Chocolate factory, eventually, but the contest runs online. WHAT: Do you and your partner have somewhat of a sweet tooth? Have you pictured your wedding as a Wonka-like affair? 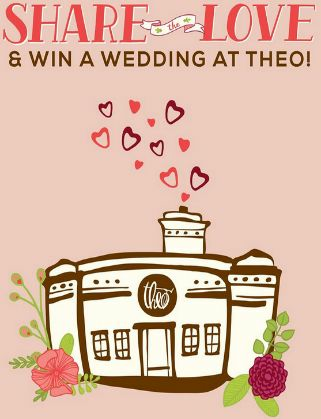 Well consider this your golden ticket: Theo Chocolate's Share the Love contest will grant one couple a free Valentine's Day wedding. Enter to win a wedding, vow renewal, or commitment ceremony on inside of the Fremont factory, complete with flowers from Terra Bella. To add to the sweetness, winners can bring up to four guests as witnesses. The evening of romance also includes dinner for two at Westward, a one night’s stay at Hotel 1000, and you guessed it, plenty of chocolate. WHEN: Couples have until 5pm on February 2 to win over Theo with their unique love stories. After finalists are chosen on February 3, it’s up to Theo’s fans and followers to pick a winning pair, announced on February 9. The wedding will be on February 14.